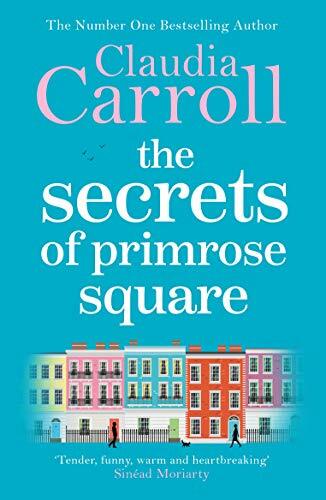 ‘The Secrets Of Primrose Square’ is the latest book by Claudia Carroll. It’s late at night and the rain is pouring down on the Dublin city streets. A mother is grieving for her dead child. She stands silently outside the home of the teenage boy she believes responsible. She watches. In a kitchen on the same square, a girl waits anxiously for her mum to come home. She knows exactly where she is, but she knows she cannot reach her. A few doors down, and a widow sits alone in her room. She has just delivered a bombshell to her family during dinner and her life is about to change forever. And an aspiring theatre director has just moved in to a flat across the street. Her landlord is absent, but there are already things about him that don’t quite add up. Welcome to Primrose Square. ‘The Secrets Of Primrose Square’ is Claudia’s first book with her new publisher and it’s a lovely tale. The story is seen through the perspective of four different women all dealing with heartbreak and new beginnings. Susan can’t deal with the sudden death of her daughter, she takes her anger and hurt on those around her including Melissa, her other daughter. Melissa is having to deal with her grief alone, only a young girl she’s having to be the adult in the family, as her father is away with the army. Until, one day her mother breaks down and is committed to hospital. Melissa is sent to live with her neighbour called Jayne, a widow, who’s recently found love online much to the disgust of her son and daughter in law. And newcomer to the area Nancy has escaped London life to direct ‘Pride and Prejudice’ at a Dublin theatre. All four different women are at difficult times in their lives, bereavement, loneliness, harassment and together they form an unlikely bond, helping each other and providing the well needed support they all need. The women are all from different generations and this gives the story an interesting slant to the tale, as their experiences and wisdom are all able to help each other. Like Claudia’s previous books, the story is filled with Irish wit and charm, that really made for sweet reading. The relationships between the women are lovely to read, as they grow from tentative women into strong and determined ladies. A poignant tale filled with emotion and insights in female relationships from mother and daughter to friends, ‘The Secrets Of Primrose Square’ is a modern story of friendship and starting over. You can buy The Secrets of Primrose Square from Amazon and is available to buy from good bookshops. On the book tour for TM Logan’s latest book, ’29 Seconds’, I’ve a review and an extract to host. 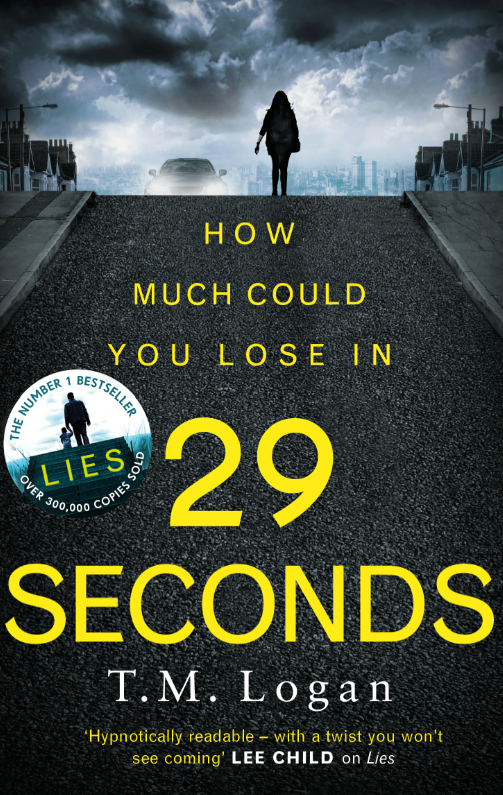 ‘29 Seconds’ is a fast paced thriller with a strong protagonist and an insanely dislikable enemy, that made for gripping and frustrating reading. In this book, we meet Sarah, a woman who’s looking to get ahead in her job but there’s one thing, holding her back. Her boss, Alan Lovelock. A bully, controlling man who preys on women, tormenting them with lewd sexual advances and comments. Many women have tried to stand up to him, but have failed and ended much worse than they initially were. As a tired mother of two, whose marriage is currently on a break, Sarah, is tired of Alan’s advances and is determined to make a change when the opportunity arises. This book is fast paced with many unexpected twists which made the story quite shocking in parts. Alan is a horrendous character, vile with an old fashioned, sexist attitude, so I was rooting all the way for Sarah. I loved Sarah, she was a strong woman who refused to be next in a long list of women. A thrilling, thought provoking story, that had me hooked from the start ‘29 Seconds’ is fast paced drama about the battle of morals that was impossible to put down. Fancy a sample from the gripping drama? Then look no more. ‘You don’t owe me anything,’ Sarah protested. ‘The Bad Daughter’ is the latest book by ‘New York Times’ bestselling author. Robin Davis hasn’t spoken to her family in six years. Not since it happened. Then they’re attacked; left fighting for their lives. And Robin is back. All families have their secrets. And one of theirs may have put them all in terrible danger. I was waiting on a friend when I started reading this book and eventually when they turned up more than a hour later, I was disappointed to have to put the book down. The story is written in third person and is seen through the eyes of Robin, a psychotherapist, who has trouble dealing with her own troubles and emotions as well as advising others. When her estranged sister calls her to tell her that her father, step mother and step-sister have been shot, the last thing she wants to do is return to her childhood home, but feels she has to. Robin has always had a turbulent relationship with her older sister, Melanie. Robin is a meek and quiet character and Melanie regularly picks on her, belittling her at every opportunity. She’s a bully and straight to the point and sometimes this makes for entertaining but uncomfortable reading. As Robin settles back into her small town life, she reflects on her old life back in LA, -the demons that she battles, her self confidence as well as doubting her fiancée. The story flows at a fast pace with a mix of unpleasant and fascinating characters, particularly Melanie, Robin’s older sister who has a dark and cutting sense of humour and Cassidy, the little girl who was caught in the cross fire when her parents were shot. Bubbly and fun, she seems far from troubled and upset and makes for intriguing reading. I absolutely loved this story, from the very start I was completely drawn in. With short chapters, it was easy to get absorbed in the dark and twisted tale which was so cleverly written that everyone was a suspect. 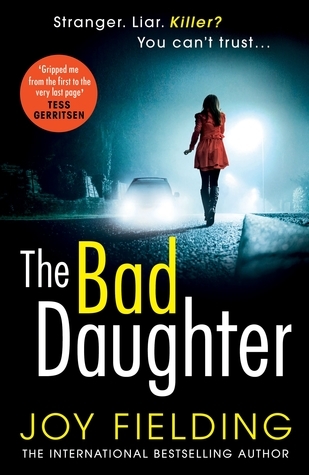 With twists and drama and with the added injection of humour and mystery throughout, ‘The Bad Daughter’ is a wonderfully gripping read. You can buy The Bad Daughter from Amazon and is available to buy from good bookshops. 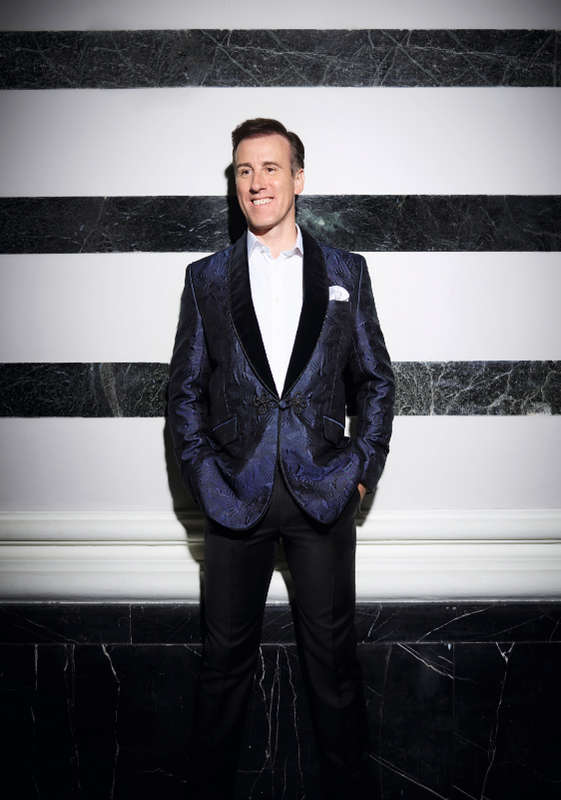 ‘Strictly Come Dancing’ star Anton Du Beke has swapped his dancing shoes for his keyboard and his revealed the exciting news that he will be releasing his debut book called ‘One Enchanted Evening’ in 2018. Eleanor Dryden, Publishing Director, Bonnier Zaffre, acquired World rights to the “sweeping, historical” debut from Kerr MacRae, MacRae LPA, and talent agent Melissa Chappell at I Will Know Someone. The novel, ‘One Enchanted Evening’, is set around a London hotel ballroom in the lead up to World War II. A National Treasure, Du Beke is one of the most instantly recognisable dancers today, best known for his role on the BBC’s Strictly Come Dancing, which he has featured on since its conception in 2004. A household name, recording artist and all-round entertainer, known as Mr Debonair, Anton will bring all the wit, charm and style he’s famous for to his debut novel. ‘Shame On You’ is the latest book by Amy Heydenrych. Meet Holly. Social media sensation. The face of clean eating. Everyone loves her. Everyone wants to be her. Or do they? When Holly is attacked by a man she’s only just met, her life starts to spiral out of control. Was she targeted because of her online wellness empire, or is there a darker reason behind the attack? He seemed to know her – but she doesn’t know him. Or does she? What if Holly isn’t who she seems to be? What if Holly’s living a lie? But surely we all lie a bit online, don’t we . . .? I started reading this book late one Friday night and reluctantly had to stop reading it when I couldn’t keep my eyes open. With short and snappy chapters that leave the reader wanting more this book is one of the grippiest books of 2017. The story is seen through the narratives of Holly Evans and her attacker Tyler on the lead up to and after her attack. Holly is an influential and powerful character who has a huge following on instagram after proclaiming that after a healthy diet and vitamins, she was able to cure herself of cancer and stay away from the more rigorous and traditional method of chemotherapy. But one night, she meets a handsome man who attacks her slicing her face and taking away her beautiful looks and confidence. As her army of fans rally around her, Tyler is determined to bring her down for the destruction, she caused to his life. Both characters are equally fascinating and unlikable. Holly, is so caught up in the glory of her popularity and her legion of followers, that she fails to see the error of her ways. She’s determined to keep her mistakes a secret, she thrives on likes and loves from social media. Whilst Tyler is consumed by hatred for the woman who unknowingly ruined his life. His bitterness leaps off the pages as he goes on a one man quest to ruin her life. He hates social media and everything that it stands for and as a doctor himself, doubts that Holly was able to cure her cancer solely through a healthy diet. Fast paced and gritty from the very first page, ‘Shame On You’ is a dark, possessive and telling read about the power of social media and how much it controls people’s lives, reminiscent of an episode of ‘Black Mirror’, this book was a thrilling read. 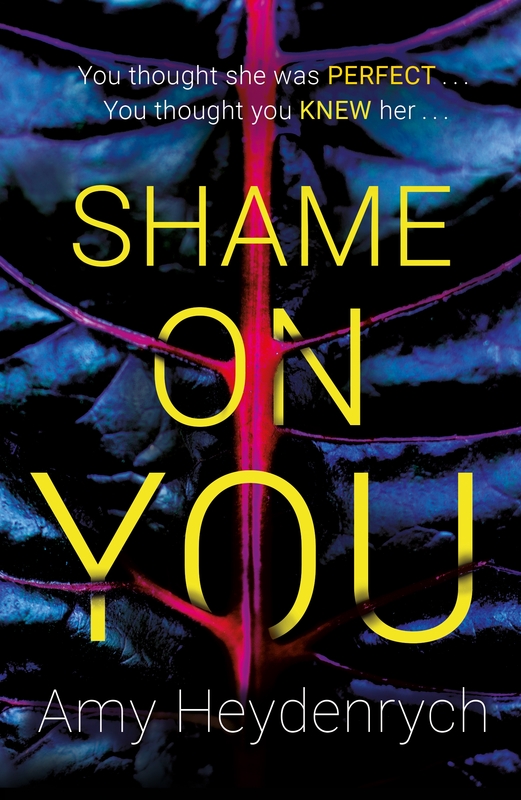 You can pre-order Shame on You from Amazon and will be available to buy from good bookshops from July 26 2018.